There may be some other underlying causes aside from diet and exercise. Let's be clear: there's no shame in putting on a bit of weight. Sometimes it means you've been exercising less or eating more, and that's OK. It's just the way the cookie crumbles. That said, if your lifestyle has stayed the same but you've noticed you're a little rounder around the middle, there may be an underlying cause that you should get checked out. Hypothyroidism, also known as having an underactive thyroid, has long been known to cause weight gain in patients. "An underactive thyroid is when your thyroid gland isn't producing enough thyroid hormones," explains Dr Kim Glass, Lead GP at Bupa Health Clinics. "This can slow down your metabolism, which can cause weight gain, as well as symptoms like feeling tired and cold. Women are around eight times more likely than men to develop an underactive thyroid." Your GP will be able to confirm the diagnosis, as well as deciding on appropriate treatment depending on your symptoms. "If you have a mildly underactive thyroid, you may not need any treatment, however, your GP may want to check your thyroid hormone levels every six to 12 months," the doctor adds. "If symptoms are more severe, your doctor may prescribe you a hormone thyroid replacement medicine. "It can take a while for your thyroid levels to get back to normal, so it may be a few months until you start to feel better. Once your thyroid levels have returned to normal, you'll usually have a blood test once a year to check your thyroid hormone levels." Cushing's Syndrome is when your body produces too much of the stress hormone cortisol. This can result in putting on weight gain, predominantly around the chest, stomach, shoulders, neck, and face, while your limbs stay slim. "Cushing's Syndrome can be caused by taking steroids or by a tumor," Dr Glass explains. "If you're worried you may have Cushing's, speak to your doctor and let them know if you're taking steroids. "It's important to note that there are a number of lifestyle factors that may contribute to you putting on weight, including a change in your diet, lack of exercise, and drinking too much alcohol." However, if you haven't changed up your lifestyle recently, it's definitely worth visiting your GP if you suspect Cushing's Syndrome. 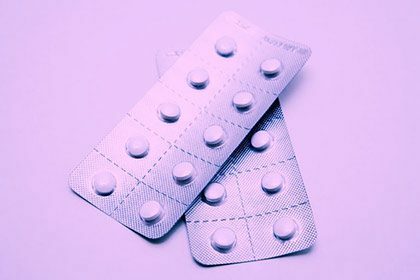 Taking certain medications, such as antidepressants or the contraceptive pill, can lead to weight gain. If you've recently started on a new medication, check the enclosed leaflet to see if it's a potential side effect, or speak to your GP if you're concerned. 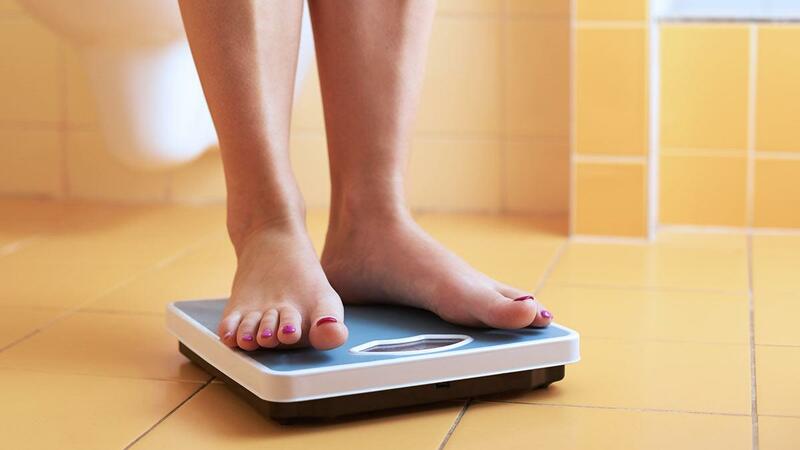 There may be alternative medications available without weight gain as a side effect, so it's worth making an appointment with your doctor to discuss other options. 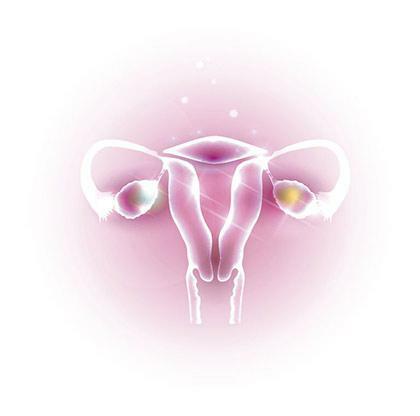 Polycystic Ovary Syndrome (PCOS) is a condition that affects the function of your ovaries and affects about seven percent of women in the UK. "You'll usually start to get symptoms when you reach puberty, and these should go when you enter menopause," says Dr. Glass. "PCOS tends to affect women differently but usually people with the condition will have a higher level of testosterone than usual. Testosterone is the male hormone that can trigger weight gain and hair growth in areas such as your face, back, chest, and shoulders." Fortunately, it is possible to manage PCOS weight gain through diet and exercise. Other symptoms include irregular periods, bloating, pain in the lower abdomen or pelvis, or depression and anxiety; your GP will arrange hormone tests and/or an ultrasound to diagnose. Depression comes in varying degrees of severity but is always characterized by a consistent low mood. "Everyone's experience with depression is different," says Dr. Glass. "Some may lack energy, have trouble sleeping, and not feel like eating which could result in weight loss. "Others may find themselves drinking more alcohol than usual and eating more, which can cause them to put on weight." Talking about your mental health can feel incredibly scary and overwhelming, but we promise that seeing your doctor is a step in the right direction. They'll be able to discuss treatment options with you to help you begin to feel better.